Gradings are wonderful things. Problematic as they may be, they have been quite useful, even back in LDD. The new Gradings have a host of settings and features that carry with them new terminology that is sometimes confusing. In light of studying preparing for the Grading Lab I will assist with, I thought it would be nice to explain some of the terms that are often hard for new users to get a grasp of. It’s not that they are inappropriate, but they all start to sound the same to a new guy. Gradings, Grading criteria, Grading Criteria Sets, Grading Groups….. See what I mean? Today we’ll take a brief tour of these terms. Grading – This is a 3D object that all the fuss is about. This It is built on a frame of feature lines (rough interpretation) and autonomously projects its own set of faces, based on instructions that it was assigned. This instruction set known as a Grading Criteria, is stored within the Grading object, allowing the object to follow it’s instruction no matter what changes to its environment occur. 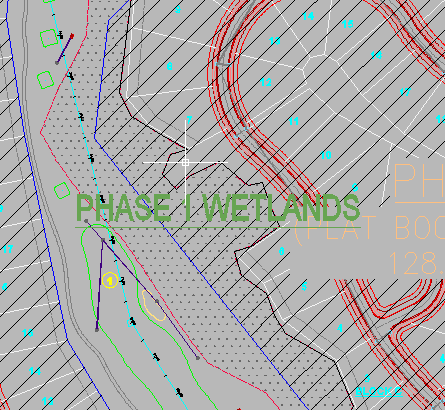 Objects created by Gradings can be as simple as a single Grading building pad, or complex grade scenarios, such as a littoral shelf detention pond, that might contain numerous Gradings. 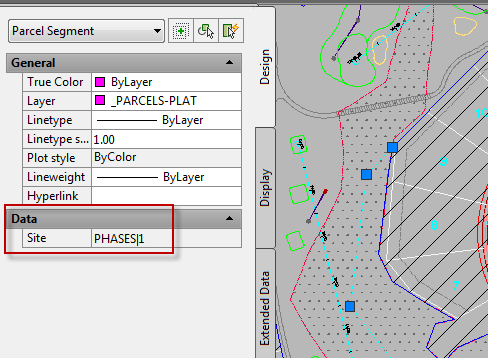 Grading Style – The style applied to the Grading that controls its appearance. 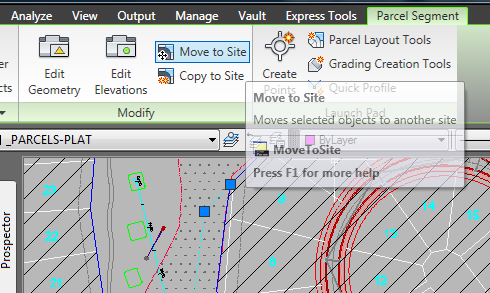 This can be found in the Grading section of the Toolspace Settings Tab. 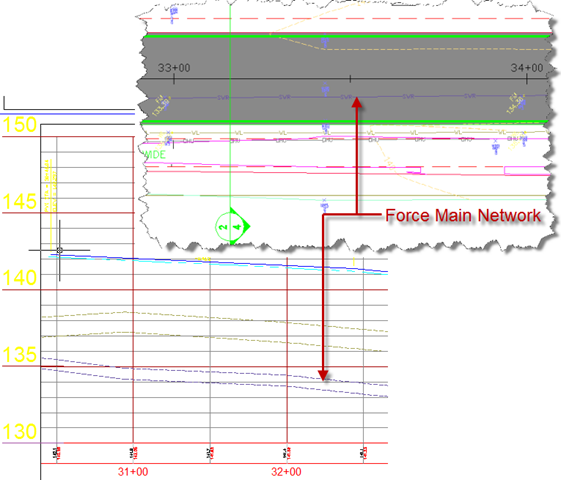 An associate contacted me recently regarding how to move 2 sets of train tracks through a single corridor, while keeping the ability to deviate the overall width. The example I received had the sets of tracks identically elevated and on a single bed. I decided to go a bit overboard, and add vertical and horizontal control. Above you can see that I mocked up something real fast. 2 separate alignments, and 2 respective profiles. I wanted to create a open area in the middle to add a freight depot. 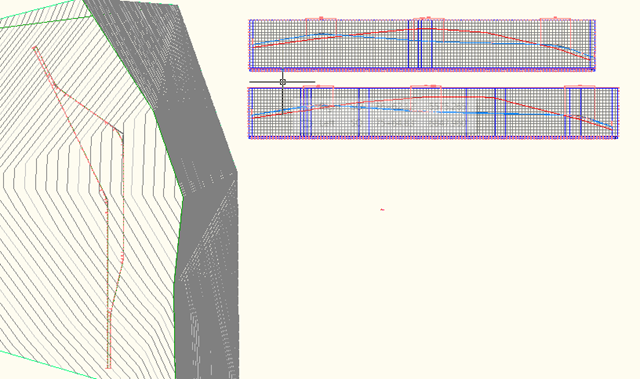 I used the profiles to help me adjust the grades for the buildings. Here is the first half of the solution. I’ll list the steps below the example image, and then I’ll discuss some important items afterward. 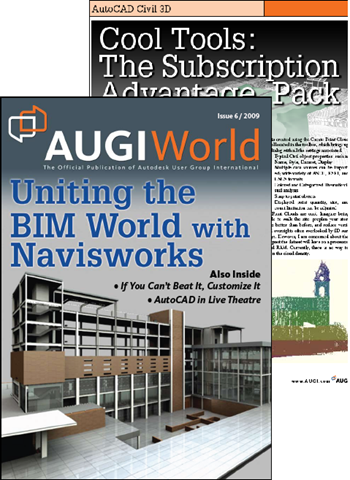 Previously I discussed being invited to watch a preview of the Civil 3D 2010 Subscription Advantage Pack, and had been quite surprised at the features. We discussed the Point Clouds, and today we’ll peek at the Roundabout Layout. This was cool. Dana Probert showed us how easy it was to start the tool, pick incoming alignments, preset standards, and a variety of options to include, like offsets, widths, standardized markings, etc. 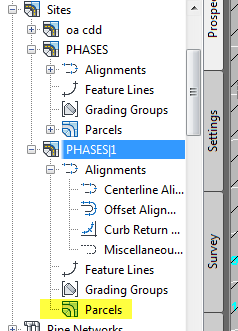 The configuration pages were huge, but most had presets available, making it easy to run through typical layouts. Yes, that’s paint and signage shown in the image, and it updates well. All the additional alignments are created automatically. The edits were probably the best part. 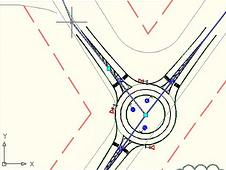 The incoming alignments were edited, and the Roundabout would keep up. Dramatic changes with no tip-toeing at all (Civil users know exactly what I mean). This thing is sick. You can even add incoming alignments after the fact. There no vertical profiling at this time, but perhaps in the future it will be available. For now you just have to add that yourself. This was my favorite part of the SAP. Sadly I have no roundabout designs before me, but I’ll be a lot happier to tackle them in the future.